Fox News is retracting a debunked story that had become a rallying cry for conservatives — a sketchy report that slain Democratic National Committee staffer Seth Rich had been coordinating with WikiLeaks in order to leak Hillary Clinton's emails and may have been killed as a result of it. "On May 16, a story was posted on the Fox News website on the investigation into the 2016 murder of DNC Staffer Seth Rich," Fox News said in a statement. "The article was not initially subjected to the high degree of editorial scrutiny we require for all our reporting. Upon appropriate review, the article was found not to meet those standards and has since been removed." The retraction comes at the worst time for Sean Hannity, who has really been pushing this story hard. Hours before the story was retracted, Hannity had seemed to be really excited that Kim Dotcom said he had explosive information. Dotcom is the founder of Megaupload who is facing federal charges, including conspiracy to commit racketeering, conspiracy to commit copyright infringement and conspiracy to commit money laundering. He is fighting extradition to the U.S. from New Zealand. Yet Hannity repeated the tweet at about the same time that Fox made its retraction. Dotcom announced this week — seemingly out of nowhere — that he would release information on his website on Tuesday, but the supposed bombshell drop that many were desperately hoping for proved to be quite anticlimactic. Dotcom further said, "The Rich family has reached out to me to ask that I be sensitive to their loss in my public comments," adding, "That request is entirely reasonable." Dotcom noted, "I have consulted with my lawyers. I accept that my full statement should be provided to the authorities and I am prepared to do that so that there can be a full investigation. My lawyers will speak with the authorities regarding the proper process." In reality, the Rich family thanked Fox News for retracting the story, according to CNN reporter Oliver Darcy. 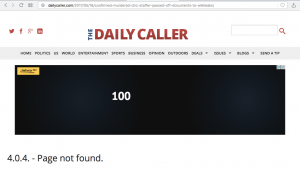 The retraction echoed throughout conservative media world. 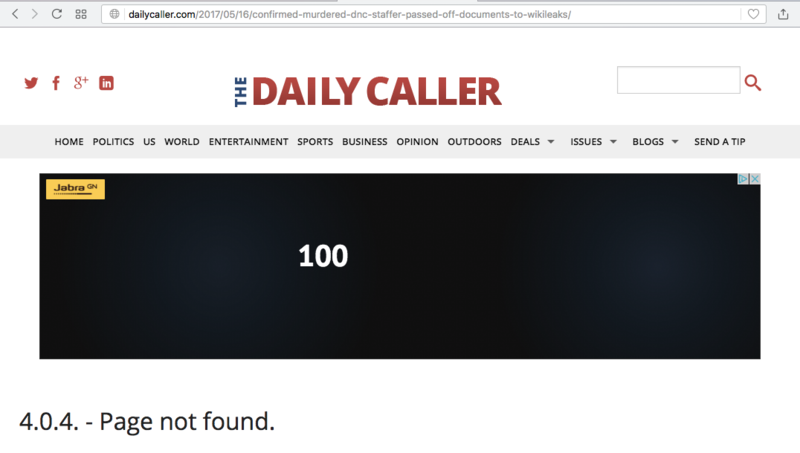 The Daily Caller took down its story completely. But in a Tuesday email, conservative watchdog group Judicial Watch announced that it would be investigating the Seth Rich murder and filing Freedom of Information Act requests. And the theory had also been gaining steam on little-noticed One America News, a White House-credentialed network that had devoted time to the story that's now been debunked. If Hannity wants to keep fighting the good fight, he won't have facts on his side. But he will have Michael Flynn Jr. — a son of Trump's former national security adviser Michael Flynn. And Flynn the younger suggested Hannity should leave Fox News and begin his own news outlet. Updated: 4:03 p.m. ET Don't worry. It doesn't look like Hannity is giving up on this story, either.